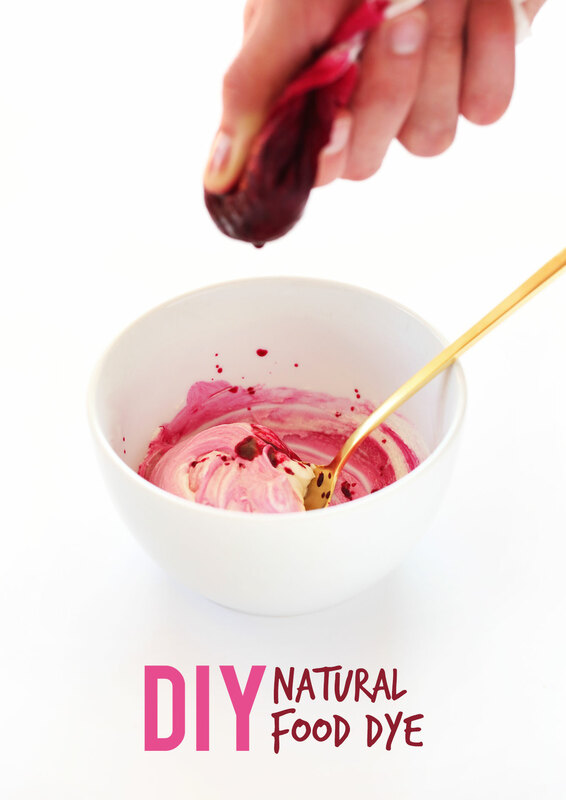 Simple, 1-ingredient natural food dye perfect for coloring frostings, baked goods and more! 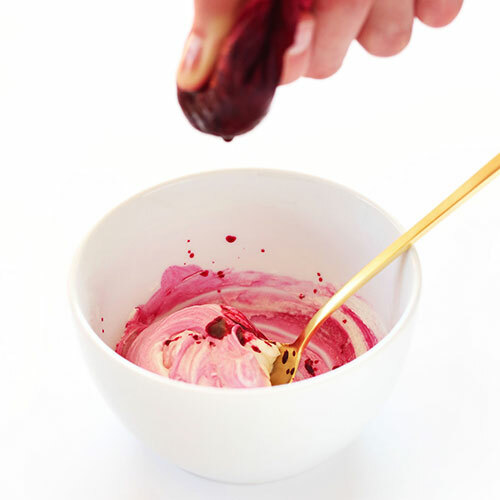 Wash and thoroughly scrub your beet. Then finely grate over a paper towel or thin, clean dish towel, being sure to set the towel over a plate so the beet juice doesn't stain your countertops. 1 beet should yield roughly 3 Tbsp (45 ml) beet juice. Once your beet is grated, gently squeeze the beet juice into whatever you're dying - in this case, it was buttercream frosting for vegan sugar cookies. The more juice you add, the more intense the hue (see photos). Other readers have suggested turmeric for yellow, pomegranate for red, and matcha powder or spirulina for green! This was so easy! Other recipes require you to cook the beets but this is way faster. I made the Minimalist Baker funfetti cupcake recipe (except without the sprinkles) and of course it was amazing!! None of my friends could believe they were vegan. I wanted to try dying the icing the color of red wine. I was worried it would taste weird with that much beet juice. I got the icing a pretty deep pink and I still couldn’t taste the beet flavor. I added cocoa to make it more like the color of wine. The amount of beet juice made it runnier, so I just added extra powdered sugar until it thickened up. It tasted really good with a little bit of cocoa! I didn’t get the color quite right but I was still impressed what you can do with beet juice and a little cocoa. Next time, I would just make the icing without the splash of non-dairy milk and would use the beet juice to thin it instead. We are glad to hear you enjoyed this recipe, Kim! Wow ! Thanks so much for the lovely idea. I used it for my daughter’s birthday cake. Pink frosting and all of us loved it. It was my first try and it came out very well. Thanks! I’m going to try this for my daughter’s birthday party. Do you think this would work to colour white chocolate, or would it make it runny? Hi Melissa! That should work! excellent but with images and videos, this blog could undeniably be one of the most beneficial in its niche. Hi! We quite often add videos and how-to’s to our recipes so be on the look out for upcoming ones! Im doing a rainbow cupcake and I want to use natural ways to color the batter. what can I you use for yellow, orange and blue? Im afraid that all these different ingredients will give the cupcakes a weird taste. any suggestion? For yellow: turmeric powder should do the trick! Blue: This may help. I have not tried these but if you do, report back on how it goes! Good luck! I accidentally made my daughter’s raspberry cupcakes blue-green. Not sure what happened, but I think it was a reaction like the one mentioned with purple cabbage. 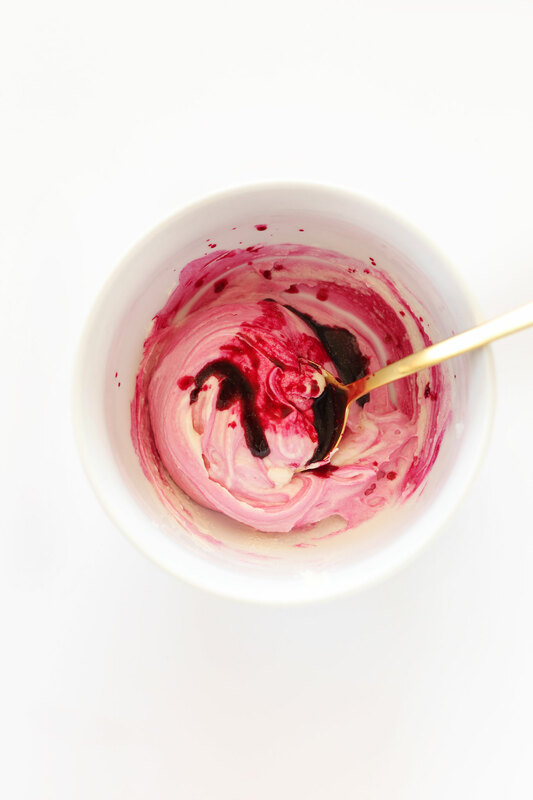 I added pulverized freeze-dried raspberries into a recipe for vegan, yellow cake batter (whatever I had left over from when I made the frosting). To my surprise, when we were ready to frost them, they were blue-green. Still tasted great though. what do you recommend I use to make black coloring? Hi! Though I have not tried this, you can apparently use black cocoa powder or activated charcoal powder to make a natural black dye. Report back if you give it a try! Good luck! This sounds like a silly question and I see it mentioned above. Does the beet or even spirulina affect the taste? I am joining in on my first cookie decorating day with my mother-in-laws family and wanted to use your cookie recipe along with icing. A little, depends on how much you use. With the amount of beet juice you see there, not really. But spirulina has a stronger taste. Amazing recipe and no beet taste at all! Thanks and happy holidays! Any suggestions for St. Patty’s Day? I’ve heard spirulina works great! Does it affect the flavor of the icing at all? It depends how much you put in. 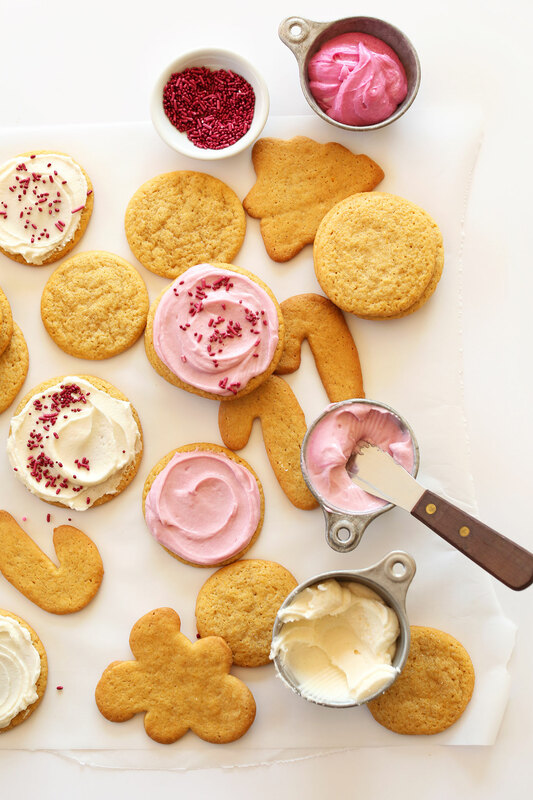 LOVE this idea…especially for red velvet-loving me! I’ll definitely be playing around with this method – thanks!